Connection and collaboration were the theme and driving force behind our Anniversary Celebration on March 20, 2019. Friends, family, partner vendors, and supporters gathered at Sodo Park to celebrate 20 delicious years of Herban Feast and 10 years of our venue: Sodo Park. 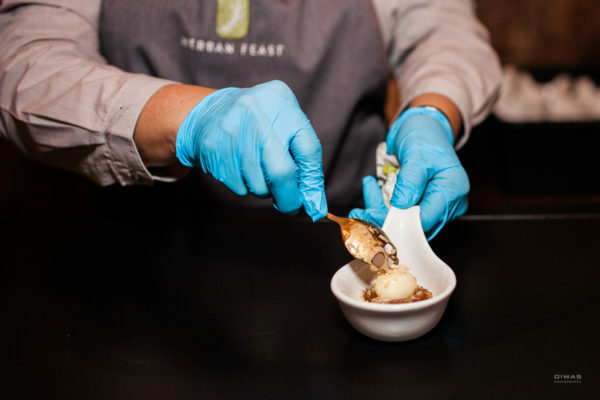 The look, feel, and flavor of our event was coordinated by several teams engaging all of the Herban Feast Departments. They were challenged to create an experience that was entirely new to Sodo Park and Herban Feast. 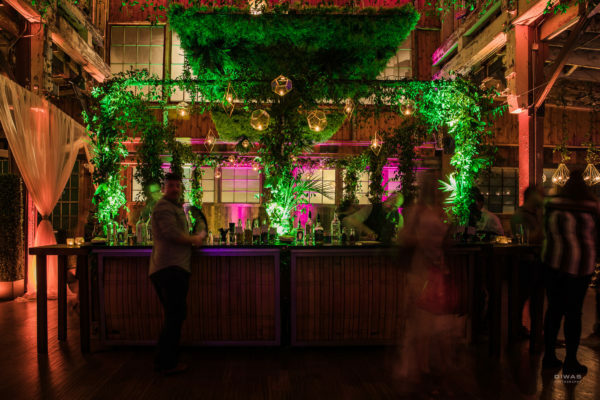 With the expertise of the Herban Design Studio (HDS), the venue was uniquely styled with a “Boutique Hotel Vibe,” featuring a lush lowered ceiling, cascading floral chandeliers, and an herb garden inspired Scratch Cocktail Bar. 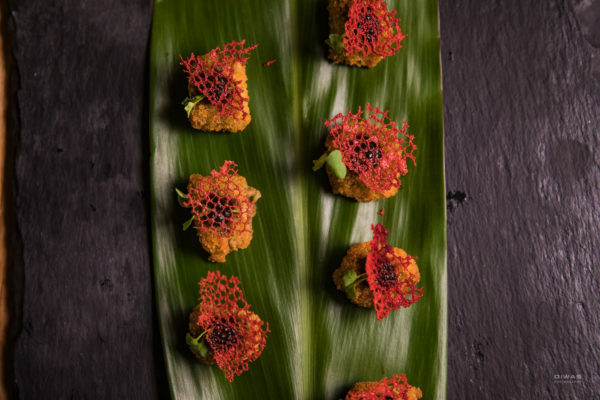 Meanwhile, in the kitchen, our culinary team crafted a variety of flavorful and beautiful menu elements. 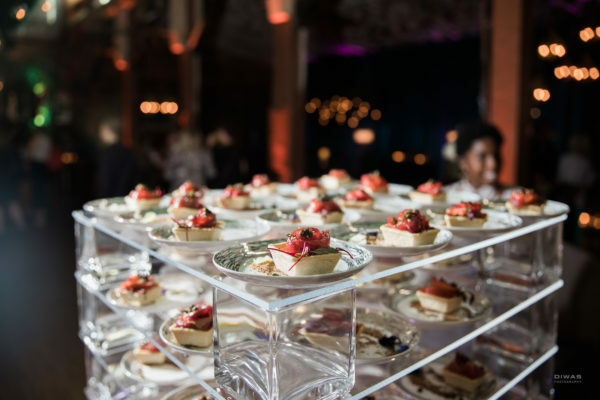 In the center of the room, Beet Cured Salmon Rosettes were elegantly displayed on our version of “Stack Plates,” which provided a modern twist on the traditional food station. 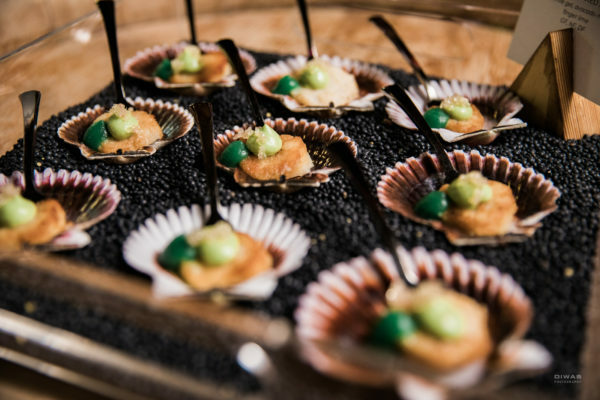 Other delicious options included Aguachile Seared Scallops, Braised Short Rib, Tikki Arancini, Modernist Caprese, and a Pig Roast Boa Bun. But the star of the show may have easily been the Crab Donut freshly fried and served with a choice of flavored powders to enhance the delicious creation. The featured desserts were as visually stunning as they were delicious. 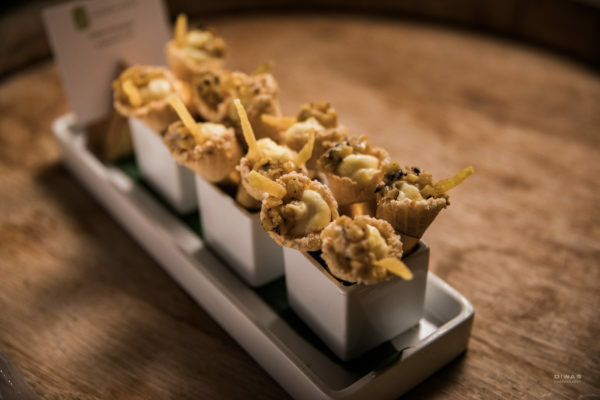 A crowd favorite was our take on a, “Root Beer Float,” featuring pop-rocks that added an exciting sensory element to the classic comfort food. 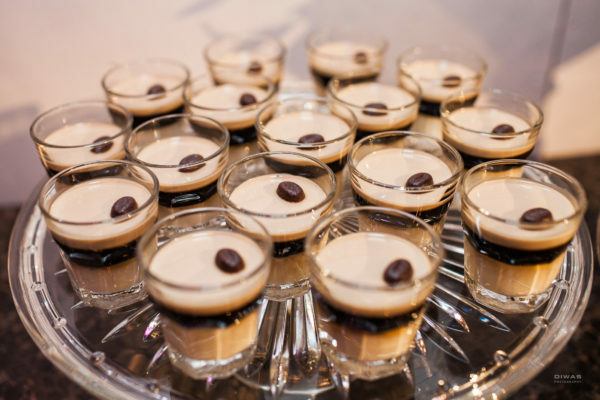 Guests also enjoyed an edible Pina Colada served canapé style and a Pannacotta Affogato. 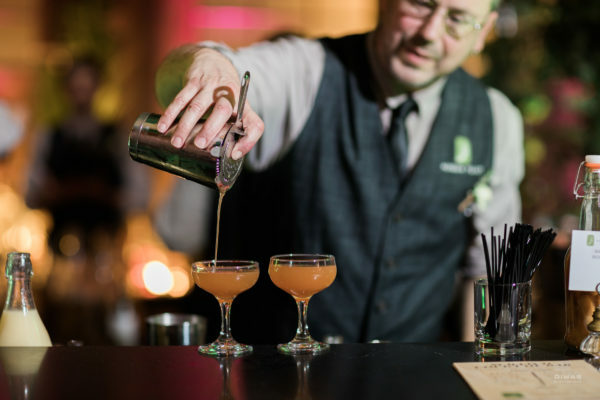 Crafting custom cocktails for an event is nothing new to the catering world, but crafting a unique cocktail for each guest on the spot is infinitely more exciting. 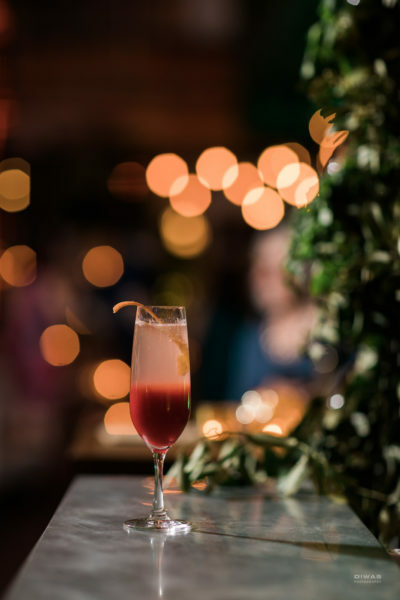 With an abundance of spirits, garnishes, purees, and homemade infusions the Herban Feast team rehearsed crafting cocktails with only a few flavor profiles as direction. 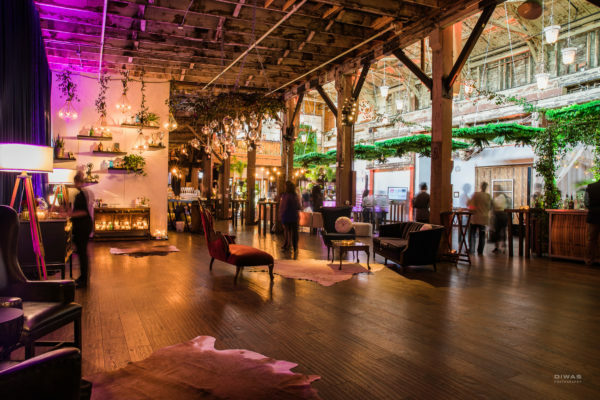 The experience was a hit and had party attendees coming back for drinks throughout the night, excited to see what the team would come up with next. 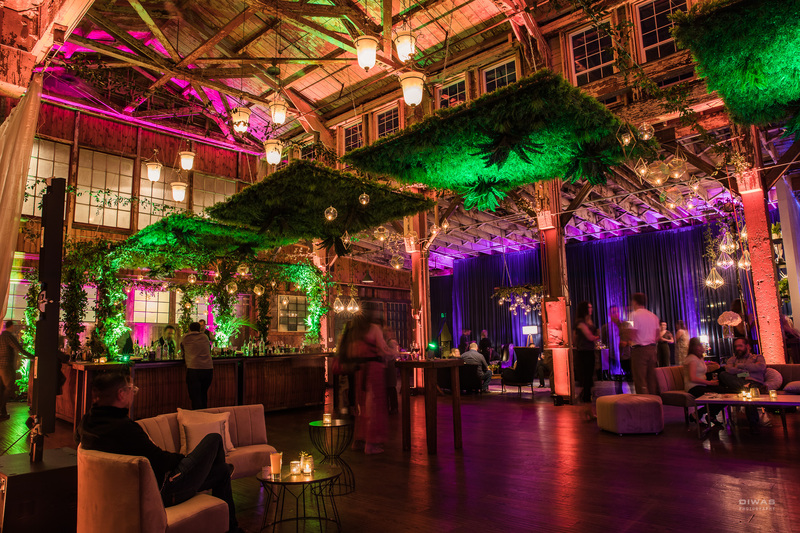 The anniversary celebration was the result of our team’s incredible ability to use their passion and expertise to turn a vision into a reality. For this event, the vision was their own and provides inspiration for the next 20 years of Herban Feast. For those of you who attended our anniversary celebration, we hope you left inspired. Thank you for joining us to celebrate these momentous milestones for both Herban Feast and Sodo Park. We would love to hear what resonated with you. Please click here to submit your feedback. Here’s to Herban Feast and 20 years of inspired celebrations!